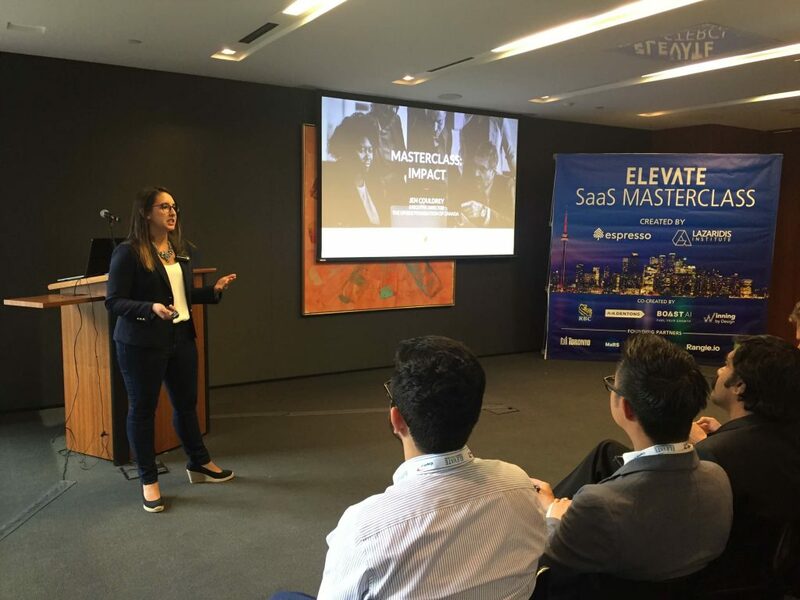 On Thursday, Espresso Capital and the Lazaridis Institute co-hosted a masterclass for SaaS companies hoping to scale as part of Elevate. A series of talks targeted to the finer details of marketing, finance, talent, sales, and more, the all-day event aimed to share insights from entrepreneurs who have done it before. BlueCat founder and investor Michael Hyatt kicked off the day with a candid talk on building a business in Canada. While raising venture funding is commonly celebrated in the tech space—often with office parties and announcements—Hyatt stressed the reality of raising funding: “You have committed to selling your company, whether you like it or not, because venture capitalists and investors want a return on their money,” Hyatt said. Now a Masterclass graduate, BetaKit has rounded up several key learnings SaaS startups can take back to the office. Leading a talk on marketing, New Relic SVP Melton Littlepage focused on how helping people should be at the core of marketing, rather than selling. Constantly trying to push a product and ringing customers’ phones “off the hook” isn’t valuable, he said. Littlepage also stressed the importance of building a marketing team that isn’t afraid of failure. Calling it a “team sport,” Littlepage said that people often treat failure like an individual problem, and feel like hiding it. To encourage the team to learn from failures, the company runs has a “failure award” shared by the team to build a more positive culture around mistakes. Acquiring users is a core focus of building a SaaS business, but helping customers transition smoothly onto the platform isn’t always top of mind. Robbie Allen, senior product manager at Intercom, shared his perspective on how businesses should think about customer onboarding. “The whole idea of ‘jobs to be done’ is that people don’t buy your product—you’re not buying a drill or something—they’re buying some sort of outcome or future,” said Allan, who indicated that products are a part of that outcome. The key, said Allen, is to approach onboarding with the idea of a ‘job being done’, not a feature being added. He used Basecamp as an example, which allows potential users to try the collaboration product for themselves and understand it, instead of forcing them to invite the entire team right away. Jennifer Couldrey, Executive Director of the Upside Foundation, also spoke at SaaS Masterclass on how startups can scale up their charitable activities. As there isn’t a singular career path for product managers, it can sometimes be difficult to see when and how they should fit into a company. Brandon Chu, director of product and platform at Shopify, said companies should look at product managers as providing leverage for existing processes and teams, which can be either good or bad. Product managers come from all walks of life, including MBA graduates, designers, and former founders. 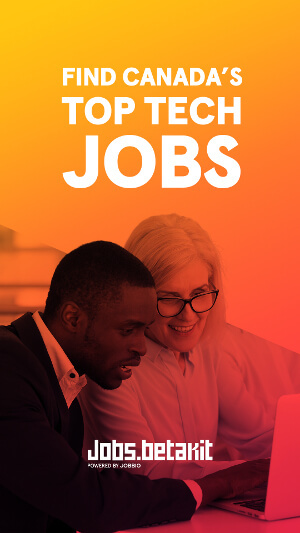 Chu cautioned against automatically going for a product manager hailing from a large company, as they may not understand the needs of a startup compared to an established organization. “You want someone who has lived already in the chaos of the startup that is willing to roll up their sleeves,” he said. Ashira Gobrin, senior vice president of people and culture at Wave, pushed companies attending the SaaS Masterclass to consider hiring millennials as an important recruiting strategy. Millennials are more adept to change, said Gobrin, which is a huge benefit to the productivity of organizations. To make businesses more attractive to burgeoning millennial talent, Gobrin said that organizations should make coaching and professional development accessible, as millennials understand their skills will be inadequate in a fast-changing work environment. “You can’t learn personal development from a YouTube video, and you can’t learn life in five minutes,” said Gobrin. 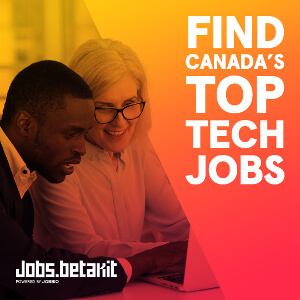 BetaKit is an Elevate and SaaS Masterclass media partner. Feature image courtesy Twitter.